Good evening everyone! I hope all has been well on your end of the lacquer world! 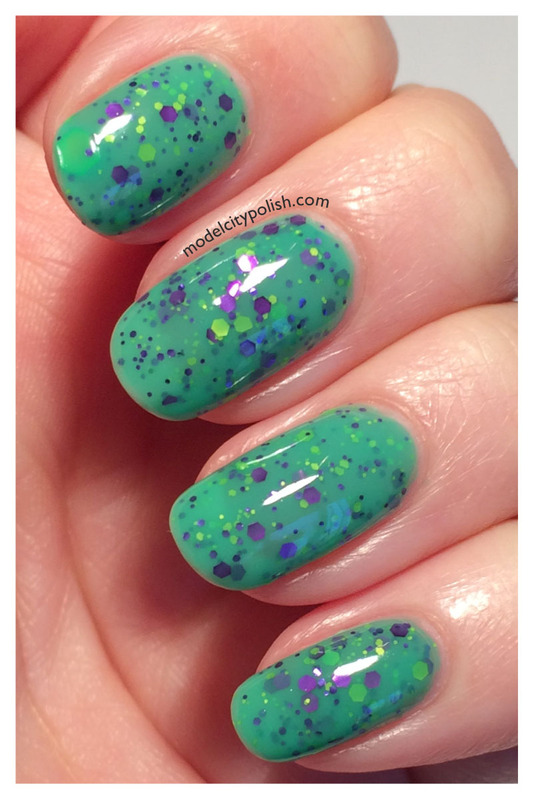 Today is Fat Tuesday so it only seemed appropriate to have some festive nails and it gives me an opportunity to try out another one of my Glam Polish’s. 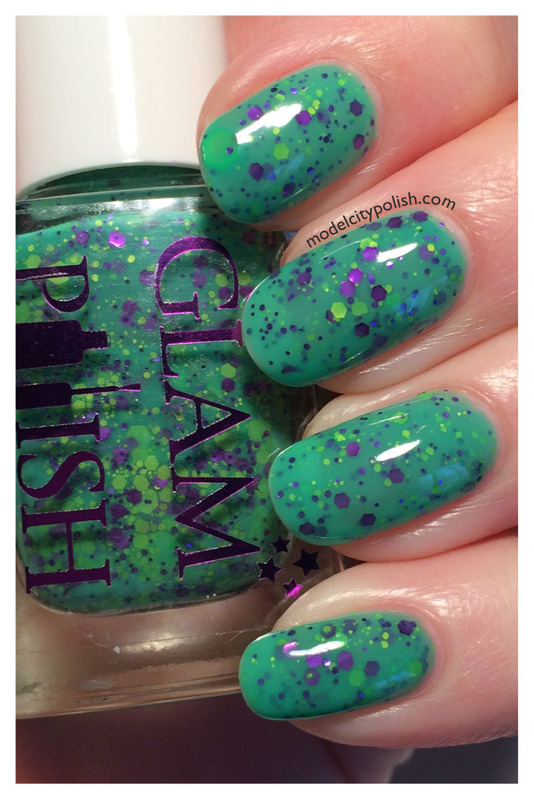 Glam Polish recently started shipping to the US and they have a supplier in country handling orders so shipping times are outstanding! 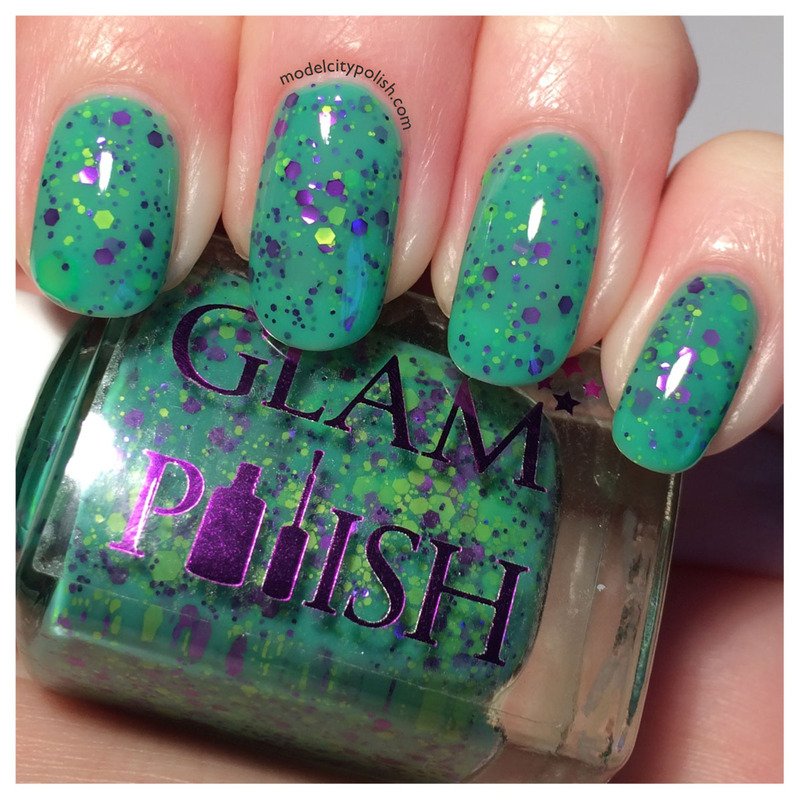 Frankenslime is a bright green crelly packed with purple glitter and sheer matte yellow glitters. Application was simply amazing and the glitter has perfect coverage! 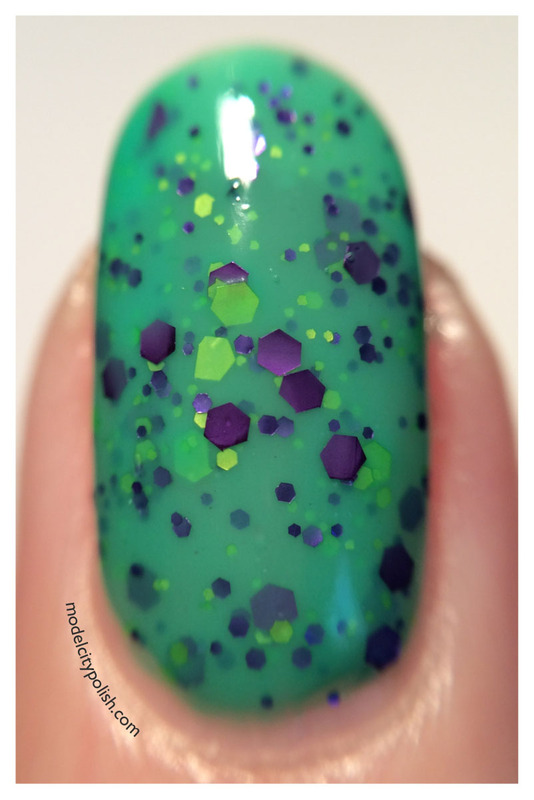 I only needed two coats to get full opacity. 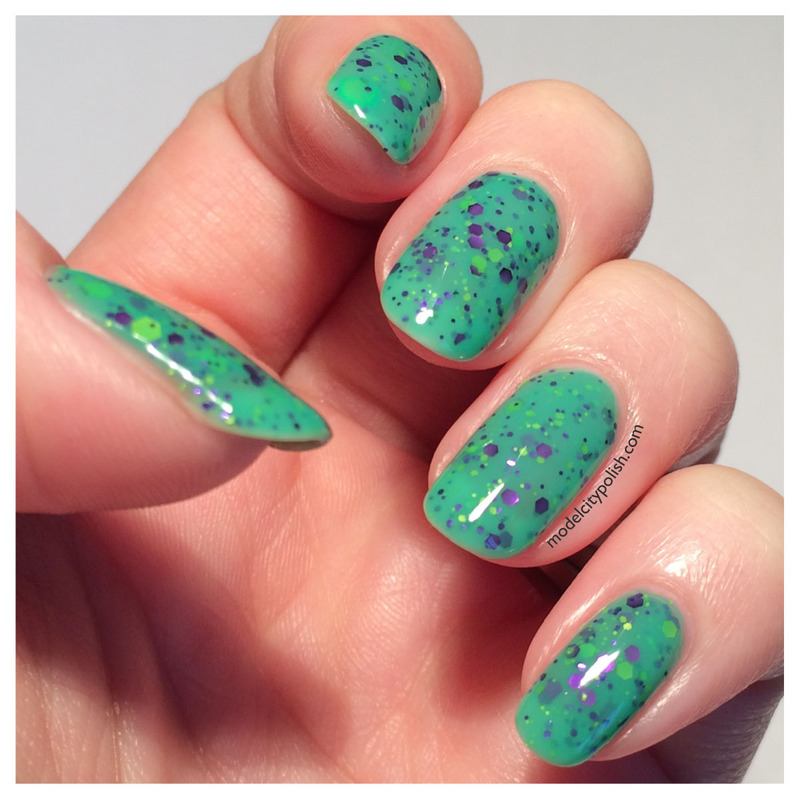 Photos are shown two coats of Frankenslime and a coat of Gelous. This is gorgeous. 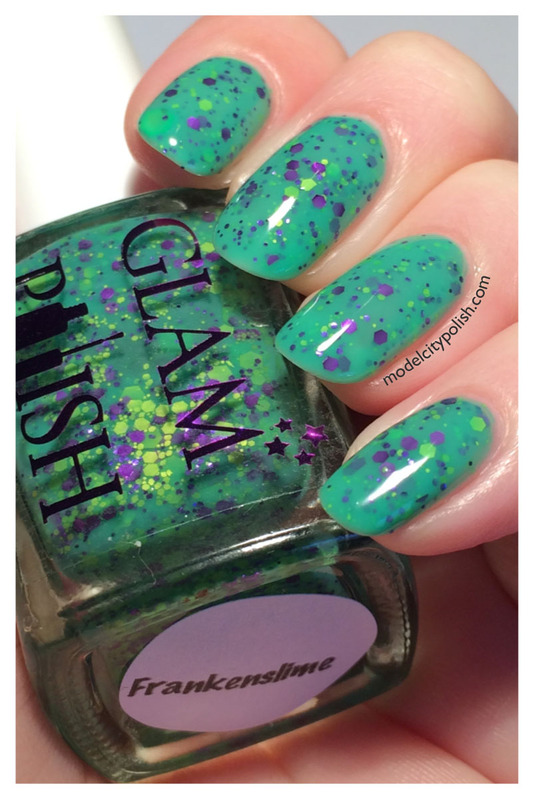 I love the combination of glitters with that green, and it sandwiches so well. This one is simply stunning. One of my favorites ever!